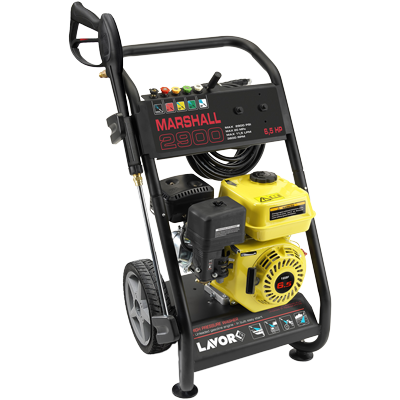 The MARSHALL2900 petrol pressure washer is a Light Trade grade unit. 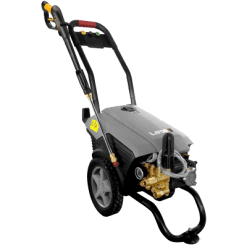 It offers a Domestic or Light Trade user a machine with big punch and a very decent flow rate. The performance is outstanding in this category of product in the market. 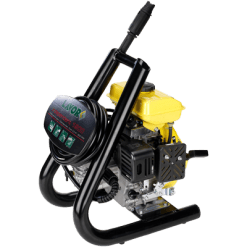 Consequently, it must be stressed that this unit is not for the heavy user because we have more suitable products for that sector of the market. 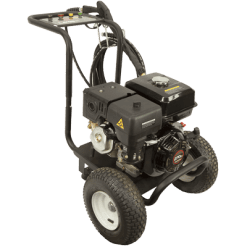 The unit is powered by a 6.5HP Loncin 4 stroke petrol motor (2 year warranty) and has a Lavor Brass head Axial. 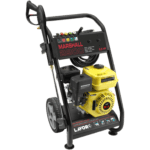 Furthermore, the washer includes a three piston pump which produces a flow rate of 10.5 LPM at a maximum pump pressure of 2900PSI. 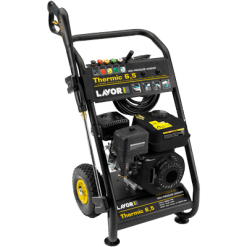 The cold water pressure washer comes with a strong metal and brass connections gun and a metal lance. The machine also comes with a choice of 5 QR nozzles for different cleaning requirements. Finally, the brass head Lavor pump is fitted with a Thermal dump valve. This is to protect the pump should the unit be left running in by-pass for an extended period.